San Francisco, CA, February 5, 2019 — VIZ Media, LLC (VIZ Media),a premier company in the fields of publishing, animation distribution, and global entertainment licensing, announces the home media release of MAZINGER Z: INFINITY on February 19th. MAZINGER Z is one of Japan’s most revered sci-fi properties. The anime film, which was produced by Toei Animation, takes place ten years after the conclusion of the famed Mazinger Z TV series. 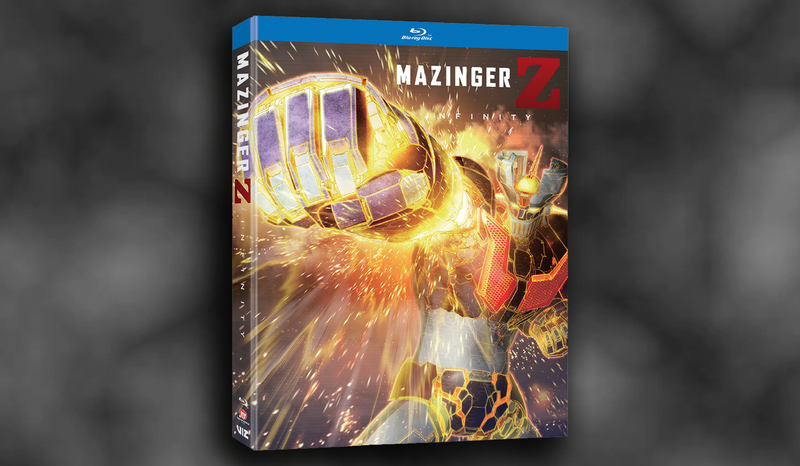 VIZ Media will release MAZINGER Z: INFINITY on Blu-ray and as a Standard Edition DVD. 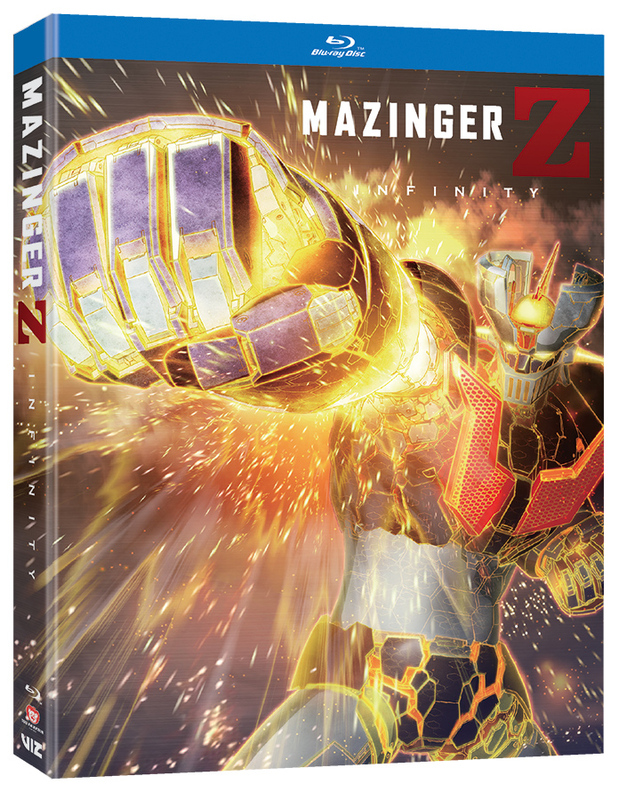 The MAZINGER Z: INFINITY Blu-ray’s MSRP will be $24.98 U.S. / $29.99 CAN; the Standard Edition DVD’s MSRP will be $19.98 U.S. / $24.99 CAN. Audio featuring English and Japanese dialogue options along with English subtitlesare available on both formats. The MAZINGER Z: INFINITYmovie is based on the classic manga series by Go Nagai. It follows our hero, Koji Kabuto, in an action-packed adventure where only he can choose his ultimate path! Ten years ago, the villainous scientist Dr. Hell led his wicked followers, known as the Underground Empire, in a struggle to destroy all of humanity. It was against these forces that the young hero Koji Kabuto fought, piloting the legendary super robot “Mazinger Z.” Koji’s victory stopped Dr. Hell’s evil plan and returned peace to the Earth. Now Koji has left the pilot seat behind and become a scientist in his own right, following in his father’s and grandfather’s footsteps. Yet an unexpected encounter deep under Mt. Fuji triggers an even greater threat to mankind than ever before and alters Koji’s destiny forever. With humanity’s fate in their hands, Koji and Mazinger Z face a choice between good…and evil. The English voice cast for the film features Wayne Grayson in the lead role of Koji Kabuto, Mike Pollock as Dr. Hell and Dan Green as Tetsuya Tsurugi. Go Nagai was Born in 1945 in Wajima City, Ishikawa. After making his debut with Meakashi Polikichi in 1967, this renowned manga artist created numerous beloved series across Japan, namely Mazinger Z, DEVILMAN, and Harenchi Gakuen. He is the one and only manga artist with experience to simultaneously write for five weekly magazines: Shonen Jump, Shonen Magazine, Shonen Sunday, Shonen Champion, and Shonen King. He has many fans not only in Japan but all around the world. For more information on MAZINGER Z: INFINITY and other award-winning anime titles from VIZ Media, please visit viz.com. Established in 1986, VIZ Media is the premier company in the fields of publishing, animation distribution, and global entertainment licensing. 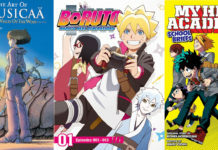 Along with its popular digital magazine WEEKLY SHONEN JUMP and blockbuster properties like NARUTO, DRAGON BALL, SAILOR MOON, and POKÉMON, VIZ Media offers an extensive library of titles and original content in a wide variety of book and video formats, as well as through official licensed merchandise. 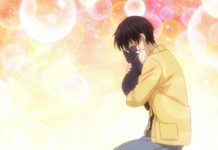 Owned by three of Japan’s largest publishing and entertainment companies, Shogakukan Inc., Shueisha Inc., and Shogakukan-Shueisha Productions, Co., Ltd., VIZ Media is dedicated to bringing the best titles for English-speaking audiences worldwide. Previous articleKit Kat Eye-Shadow Palette for the Candy Lover! Next articleNew Pikachu Figures and a Bulbasaur Funko Pop Coming this March! Pokemon Let’s Go Bake Cookies!